When you are learning to drive it is a good idea to take as much private practice as possible, driving with your parents is one of the best ways to do this. There are a few guidelines which you will need to follow. You must be at least 17 years of age and hold a valid provisional licence. The car which you are driving must be road legal, taxed and have a valid mot if it is more than 3 years old. You must display L Plates prominently both to the front and rear of the vehicle. If you use the L Plates which attach to the windows, then make certain that neither the driver and passengers view is not obscured in any way. Your parent or accompanying driver must hold a valid licence and must have done so for a minimum of 3 years, they also must be aged over 21. You must have a valid insurance in place on the vehicle either as a named driver, or you could use one of the learner driver insurance schemes. It would be advisable to combine your private driving practice with regular lessons from a qualified driving instructor, that way you are certain that you are doing things correctly. 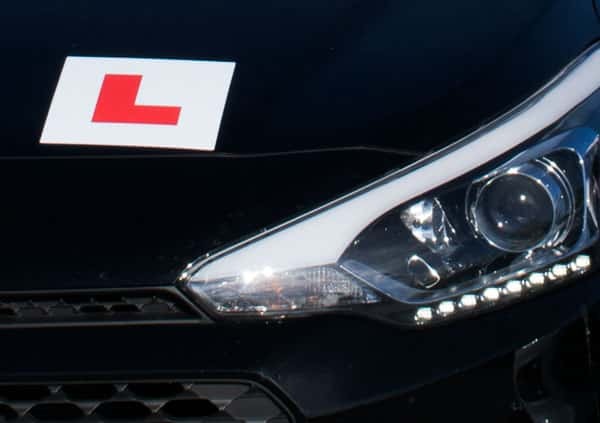 On average, it takes 44 hours of lessons with an instructor to pass the driving test, however with private driving practice this is often reduced dramatically. There are other advantages of practicing in your own car, the main one being that you should become a more confident driver, mainly due to the extra hours behind the wheel and dealing with the everyday real life driving situations. As an instructor who has taught two of my own children to drive I know how difficult it can be teaching your own kids to drive. I am pleased to say that they both passed first time and my son is now also an approved driving instructor. Should you require any help or advice on how to go about practicing contact us and we will be happy to advise. It should also be noted that in the Conwy area there are restrictions on parts of the A55 from Llandulas (Junction 23) through to Conwy (Junction 17) there is a restriction that prohibits learner drivers.